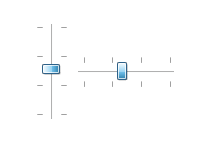 NOV UI component that allows users to select a distinct value in a given range. 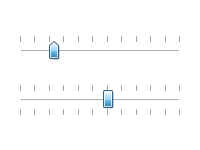 The NOV Slider Control is a range based widget, which display a range and a current value. The range is defined by the Minimum and the Maximum properties of the range based widget, and the current value is stored in the Value property. 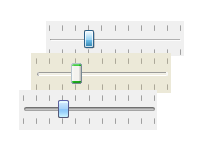 The NOV Slider control supports both horizontal and vertical orientations. 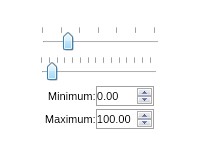 Control the minimum and maximum values of the slider. 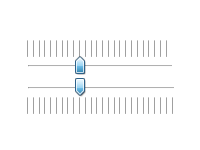 The Slider control provides the ability to control Tick Length, Tick Interval, Ticks Stroke, Tick Placement. NOV Slider widget is styled with CSS. NOV initially comes with the following themes: Windows 8, Windows 7, Windows XP Blue, Windows Classic (with all color scheme variations) and Mac Lion.